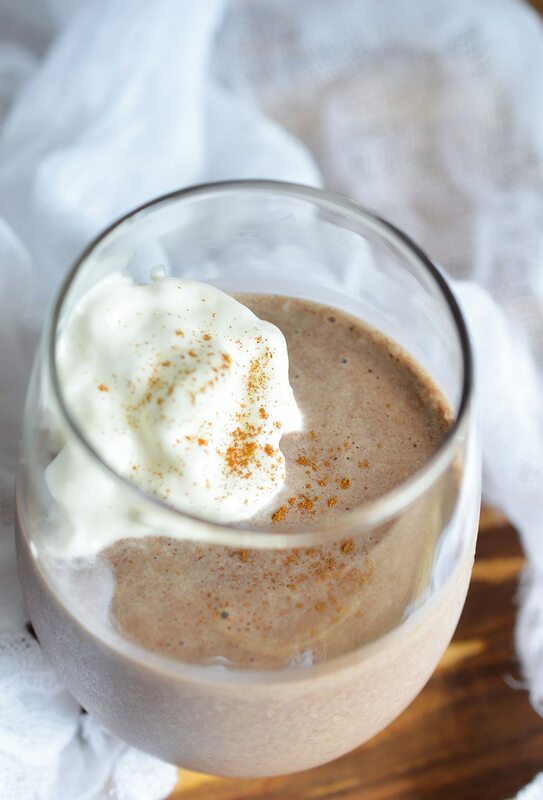 Try this Spicy Chocolate Milkshake Recipe for a unique ice cream treat. This chocolate shake is spiked with a hint of chipotle and cinnamon for an ice cold dessert with a surprising punch of heat! I think we all need to take a few moments for ourselves and breathe. It’s so easy to get wrapped up in our busy lives and not take the time to stop and relax. My daughter just started kindergarten and let me tell you . . . this balancing act of working, school, activities and day to day life is no joke! I need some Me Time. 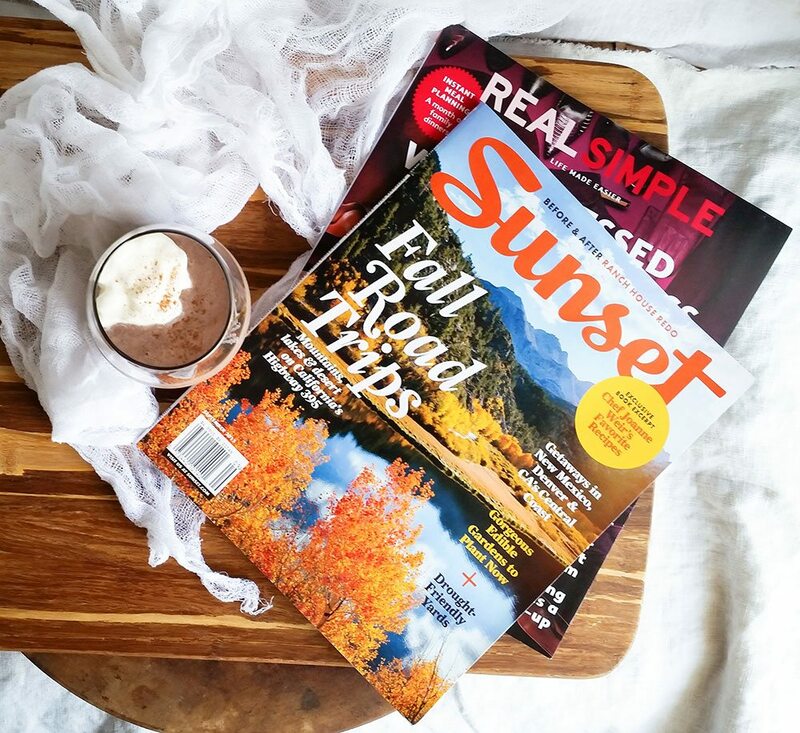 When I need to decompress I like to curl up with Real Simple® and Sunset® Magazines and a treat. 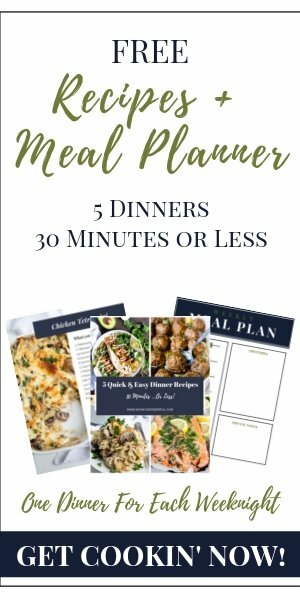 I enjoy flipping through my magazines to get Fall recipe, décor and fashion ideas. I keep it quiet, don’t check my phone and just rest. It may not be a beach vacation but it does wonders for recharging the body and mind. Just a short while to myself can energize me for the upcoming week. I picked up my magazines at Safeway. Take advantage of $1.00 off participating titles (PEOPLE®, InStyle®, People StyleWatch®, Real Simple®, and Sunset®) with this digital offer until 10/18/15 while supplies last. 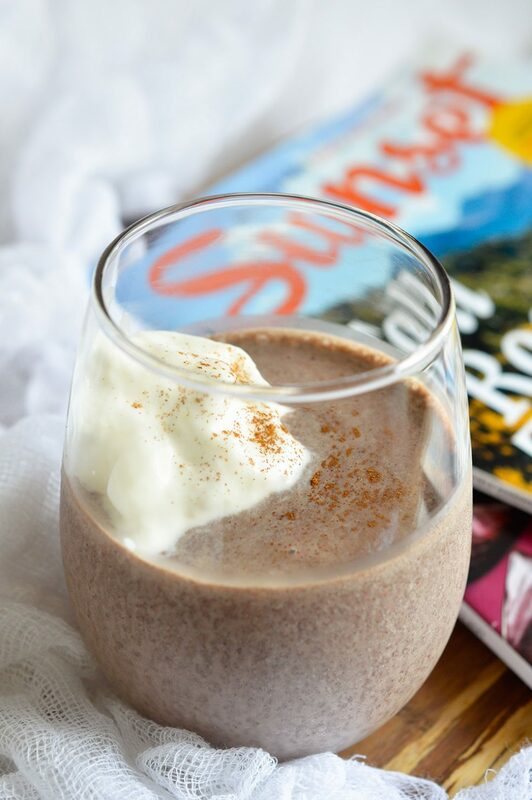 This Spicy Chocolate Milkshake Recipe was inspired by a recipe I saw in Sunset® Magazine. The original milkshake recipe from Copita in Sausalito, California was described by Joanne Weir: “It’s the richest, most decadent milk shake you’ll ever taste, and it leaves you feeling all warm and fuzzy.” Well, there you go! Sign me up! The original recipe involved decadent homemade chocolate ice cream, tequila and chile powder. I liked the idea of a spicy chocolate dessert. But my version is more mild, nonalcoholic and much less labor intensive! 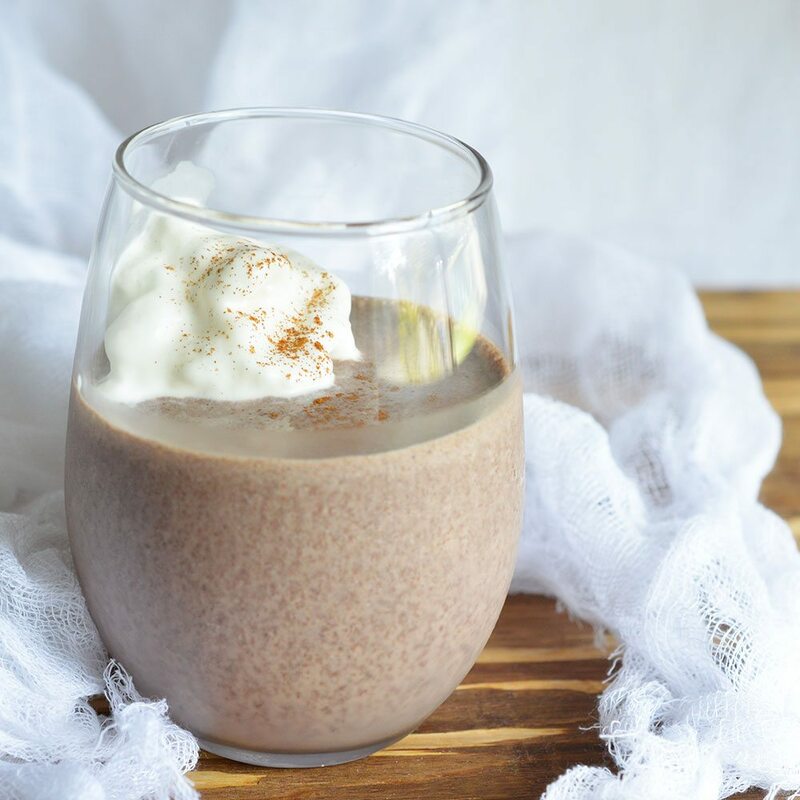 This milkshake brings a really unique twist to a traditional chocolate shake. You get just enough heat to warm up your ears while enjoying a cold dessert. It is the perfect milkshake to enjoy during Fall or Winter. In fact, that sounds just about perfect. 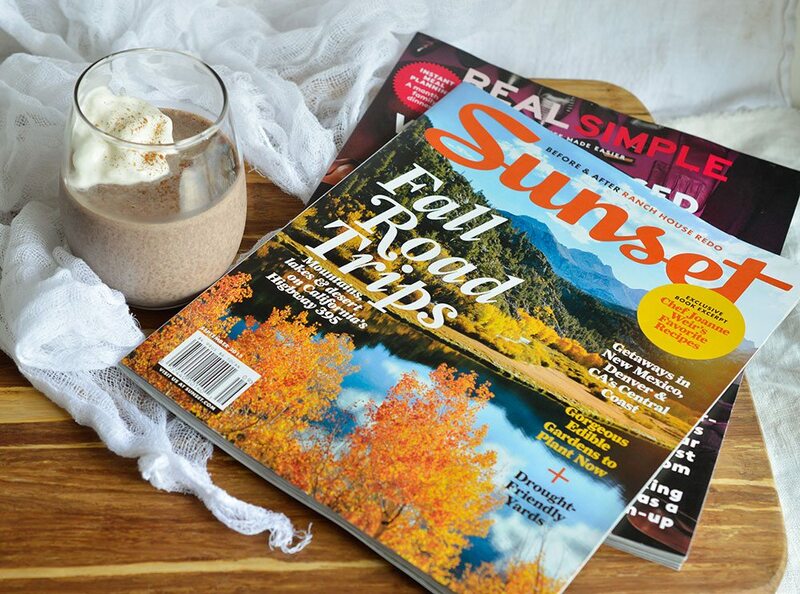 A chilly winter day, cuddled up under a blanket, reading your favorite magazines and sipping on a spicy chocolate milkshake! You should try a spicy chocolate milkshake at least once. And definitely treat your self to some quiet “Me Time”. You deserve it. Top with whipped cream and lightly sprinkle with cinnamon.